How would you evaluate your food defense plan? Which HACCP Decision Tree to use? Is there any standard for the level of infestation of flies? Everything you need to get the most out of the forums. Link to a comprehensive list of help topics with regards to using the forum. Please take a few minutes to introduce yourself to our network. 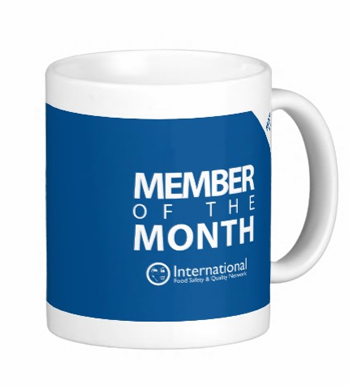 Member of the Month (MOTM) in association with Safefood 360. The IFSQN Annual Food Safety & Quality Online Conference. The IFSQN Free-to-Attend Weekly Webinar Series. A 'Heads Up' on the latest documents added to the Files Library. If you need expert support for your food safety project post your job specification in this forum. Consultants who wish to apply and post contact details must have an active listing in the supplier’s directory. Consultants may use this forum for discussing general issues relating to consulting. Discuss the range of AIB Consolidated Standards. Discuss the Global Aquaculture Alliance Best Aquaculture Practices (BAP) certification program. Discuss the latest version of the BRC “Global Standard for Food Safety”. Discuss the “Global Standard for Packaging and Packaging Materials”. Discuss the “Global Standard for Storage & Distribution. Discuss the latest version of the BRC Standard for Agents and Brokers. Discuss the ISO 22000 standard. Discuss the FSSC 22000 (Food Safety System Certification scheme) for Food Manufacturing. Discuss the FSSC 22000 (Food Safety System Certification scheme) for Packaging Material Manufacturing. Discuss the SQF Code as it relates to Food Manufacturers and Producers. Discuss the SQF Code as it relates to Storage & Distribution. Discuss Tesco TFMS and other Customer and Retailer Specific Standards. Discuss food safety standards including Global Aquaculture Alliance BAP, Global Red Meat Standard, Synergy 22000, PrimusGFS, CanadaGAP, GlobalGAP AIB, FDA, EFSIS. Discuss ISO 9001, ISO 14001, ISO 18001 and related management system standards. General and off-topic community chat and networking. Discussion about Careers, Employment, Personal Development and Professional Certifications. Discussion forum for those with an interest in all aspects of foodservice & catering. Discussion and support forum for Safefood 360’s global community of users. Discussion and support forum for Trace Analytics. Ask us a question about food grade compressed air testing. Congratulations to zanorias our new Member of the Month for April - 2019. This member first registered on our forums 11 February 2019 - 03:52 PM (73 days ago). They have posted 146 times (2.00 posts per day). Their profile has been visited 412 times. They have received 21 reputation points and 0 users rate their profile. An IFSQN Mug is on its way. mgourley has posted in Concerned: I microwaved potato wedges from room temperature? in Health, Safety & Environmental Management. MOURADTALBI has started Introduce in Welcome! Introduce Yourself. StevenMesia has joined the forum. MOURADTALBI has joined the forum. 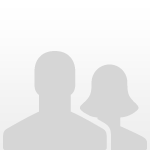 Alatrade6dowingdr has joined the forum. Juan Triana has joined the forum. Ninotp has joined the forum. Voryette has joined the forum. Marshenko has posted in First BRC audit in BRC Global Standard - Food Safety. Pribs has started Introduction in Welcome! Introduce Yourself. Most members ever online in one day was 521, last accomplished on 13 Mar 2019.